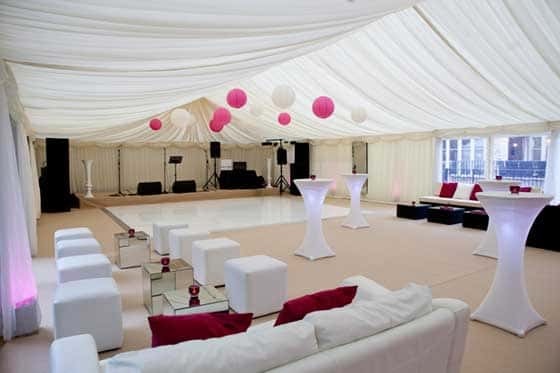 Top Hat Marquees stock all different sized round tables as well as trestle tables. 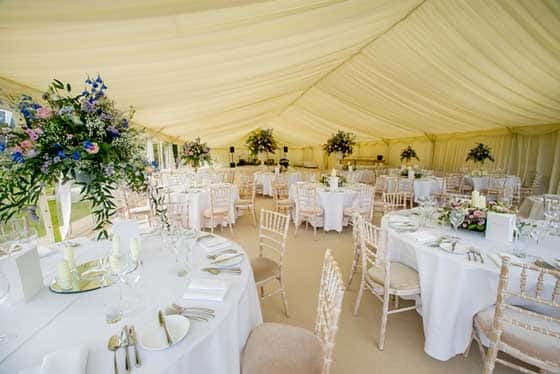 We also stock Lime Wash Chiavari chairs but can provide you with any chair you desire. 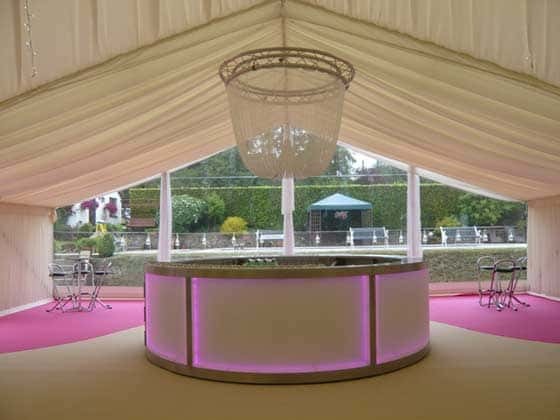 A bar can become the main feature or any event, having the right bar is therefore crucial. We stock a number of different bars and also have the capability to design and build bespoke bars. When it all gets too much and you need some where relax, having a lounge or ‘chill out’ area is a necessity. They can not only be very practical but can also look amazing. We stock a range of soft furnishings, coffee tables, poseur tables and various other items.